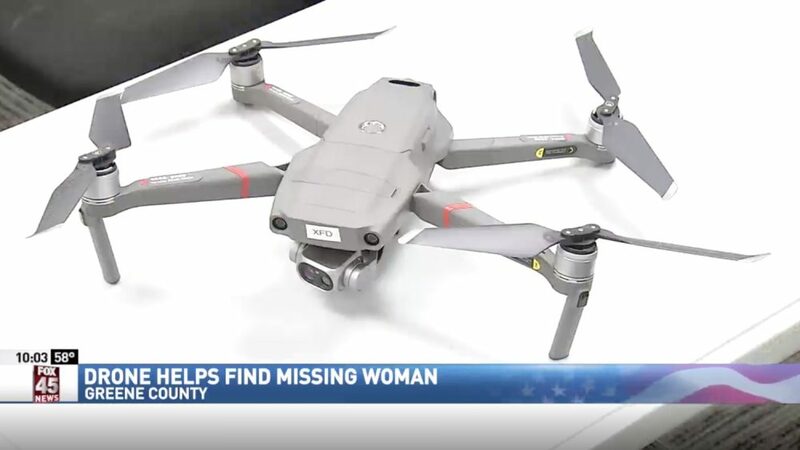 ​Xenia police released drone video of the moment a 90-year-old woman with dementia was rescued in Greene County, Ohio, on Friday, 5 April 2019. Beverly Brown, the woman’s daughter, credits that technology for bringing her mom home. Brown went over the terrifying moments she realised her mom was missing on Tuesday, 2 April 2019. “I checked the house, I found her purse in the garage without her billfold and her sunglasses, so I knew she'd gone somewhere." Said Beverly said when dementia hits, it is hard. "You know you're wracking your brain trying to think of what she could have done,” Brown said. Brown called 911 and the Greene County Sheriff’s office responded and started looking for her. "They were just very quiet and competent and organised and just started doing exactly what needed to be done,” said Brown. Like reaching out to Xenia Police and Fire to bring their drone to help with the search. In the drone footage you can see Brown's mom in an open field, tangled in brush, unable to move, law enforcement coming to her aide. "We wouldn't have found her without that I don't think,” Brown said. Matt Miller, Xenia detective, said this situation is proof to how valuable drone technology is. It is also a case that hits close to home for him. “Personally dementia affects my family, so being able to help someone like that is truly satisfying,” said Miller. It took about an hour to find her mom. Brown said without the drone no telling how long she could've been missing. "If they hadn't done that comprehensive and organized search I really think mom would have been out there all night, I really do.” Brown is forever grateful for all those who helped. "My mom's home, and she's fine, she's not hurt, she's just back home." Brown got her mom a GPS tracking device in hopes of avoiding another close call. The one she bought is called Relay. It works like a walkie-talkie and connects to a smart phone so she can see where her mom is at all times. There are other options on the market. Some like Angel Sense can be attached to your loved ones clothing and provides a daily timeline of their activities. Itraq can clip on their purse or belt and multiple people can track one device.